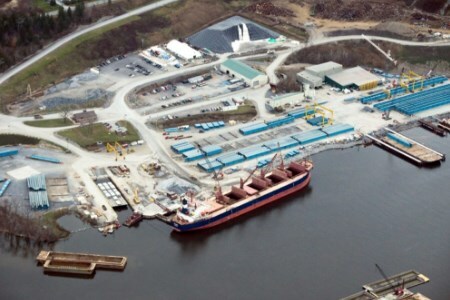 Port Manatee and Carver Maritime LLC have entered a long-term marine terminal operating agreement for a 10 acre aggregate offloading facility at the Florida Gulf Coast port. The agreement, for as many as 20 years including options, was approved Thursday 16 August by the Manatee County Port Authority, and ensures property lease payments totalling US$1.8 million for the initial five year term, in addition to wharfage payments for annual cargo throughputs. The Port Manatee facility will be the third maritime endeavor for Carver Companies, which was founded in 1989. The first, the Port of Coeymans, a 400 acre privately owned and operated maritime industrial complex, opened in 2007 on the Hudson River, 10 miles south of Albany, New York. The second was established in 2016 on a former naval base property in North Charleston, South Carolina, and now encompasses 40 acres of industrial laydown and warehousing. Located ‘Where Tampa Bay Meets the Gulf of Mexico’, Port Manatee is the closest US deepwater seaport to the expanded Panama Canal, with 1040 ft draft berths serving container, bulk, breakbulk, heavylift, project and general cargo customers. The port generates more than US$2.3 billion in annual economic impact for the local community, while supporting more than 24 000 jobs, without levying ad-valorem taxes.